I wear a watch every day. It is handy to be able to check the time without reaching for my phone! But most of all, I love picking one to match my outfits. 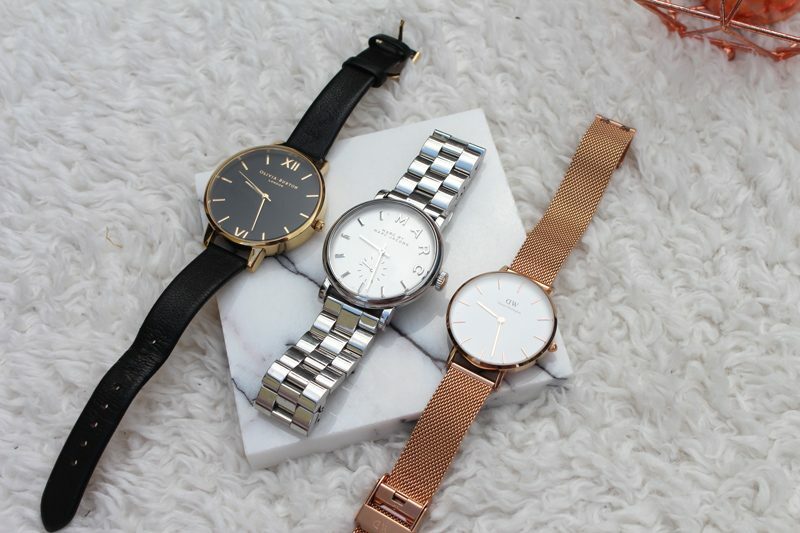 When I was younger, I used to buy all sorts of watches from high street shops, but now, I like to pick timeless (sorry for the awful pun), classic watches that will last for years. 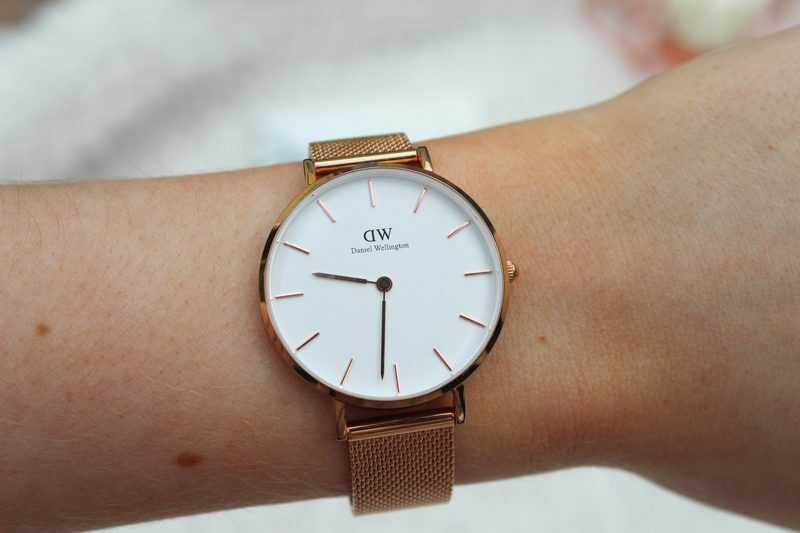 Today’s post is in collaboration with Daniel Wellington, who so kindly gifted me my beautiful watch. 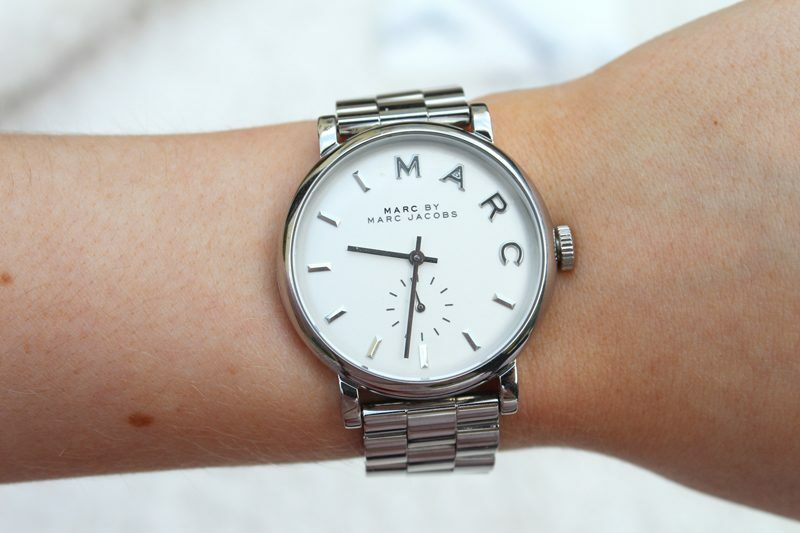 This is such a beautiful watch. My boyfriend actually bought this for me as a surprise birthday present a few years ago – he chose a perfect watch for me without me even describing it! This one has the largest face, which I love. It makes more of a statement with the size this way, but the dark colours keep it feeling more subtle. This is the only leather strap watch that I own so black is the perfect colour. It feels more formal than the metal ones, so I love this one for work or any smart occasions. I don’t own much gold jewellery so I tend to wear this on it’s own as a bolder piece, but it would look lovely paired with delicate gold layering jewellery. This was my first metal watch and easily my most time piece. When I was choosing what style to go for, I knew it had to be silver! I just reach for silver accessories, mostly because I am naturally pretty pale. This one is my favourite for every-day because I feel like it pulls an outfit together nicely. I love wearing this one layered with silver bangles, plus I am usually wearing a St Christopher necklace so everything matches. Again, this one has a slightly larger face. I am just drawn to bigger watches, despite having quite petite wrists. Last but not least is my Daniel Wellington watch. This is the Classic Petite Melrose. I just adore the rose gold! Now I have one watch in each metal, so I love getting ready and picking whichever matches my outfit that day. This style looks so pretty. Honestly, it is so flattering! The strap is feels delicate and classy, a lot more subtle than a chain I think. 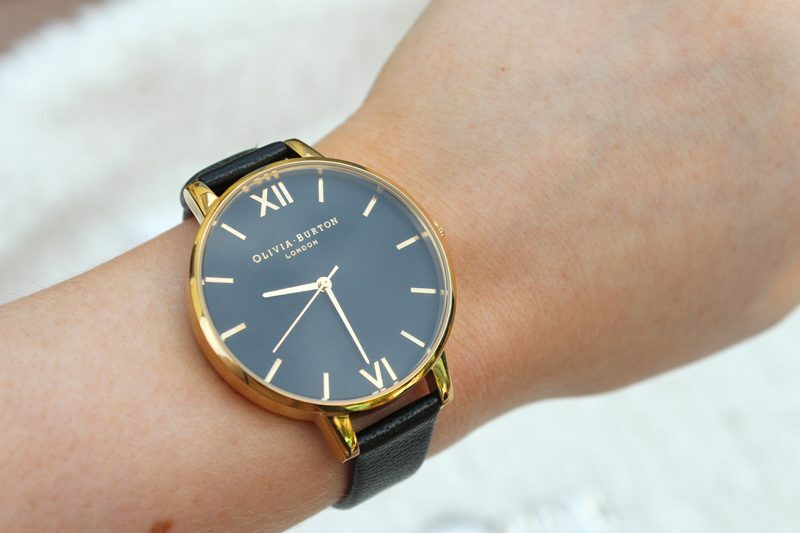 This is my current go-to watch – I just love wearing it, for everyday, work and evening. Rose gold looks gorgeous against a tan too. Daniel Wellington have kindly provided me with a 15% off discount code for you to use. Just use the code ‘MARBLEBEAUTY15’ to receive the discount at the checkout. Their beautiful collection is definitely worth looking at. This post contains a gifted watch from Daniel Wellington. Post contains affiliate links.